I've wanted to try my hand at carnitas for a long time. 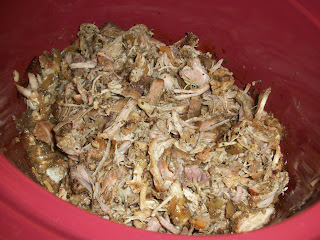 So I was really excited to see this crock pot version on Jo's blog when I was assigned it for Secret Recipe Club. 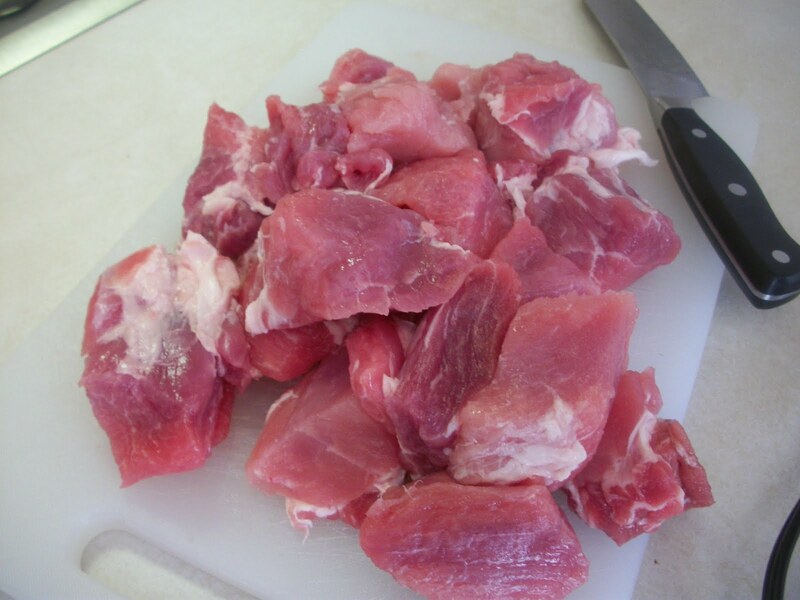 Her version has amazing flavor - this delicious meat will need very little doctoring (with salsa or such) and can be used in so many ways - taco filling, with rice and beans, in enchiladas, or even in a sandwich as a sort of Mexican pulled pork. 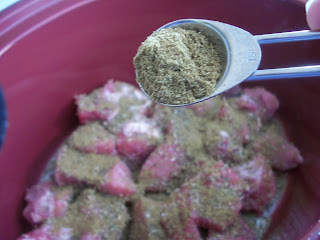 I used boneless, country style ribs for this but you can use pork roast too. Use whatever is on sale or what you have in the freezer. 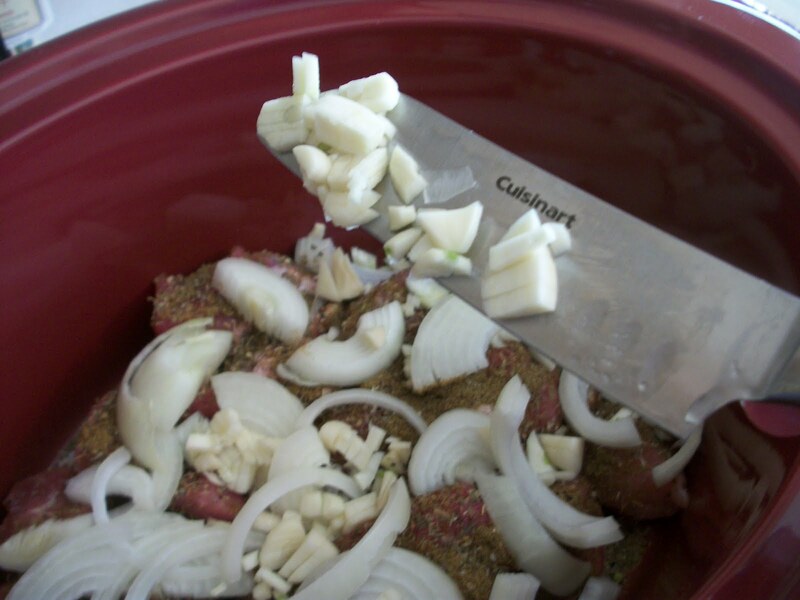 Then top with sliced onion and garlic. and then serve any way you like! I used mine in corn tortillas and topped them with red onion and queso fresco. Thanks, Jo, for such a great recipe! Scroll down under this recipe to see all the great SRC entries. For more great recipe ideas, visit Mangia Monday, Menu Monday, Mouthwatering Monday, Mop it up Monday, Mix it up Monday, Seasonal Inspiration, Melt in your Mouth Monday. favorite fixings - salsa, guacamole, onions, tomatoes, etc. Cut pork into 1 1/2 inch chunks and place in crock pot. 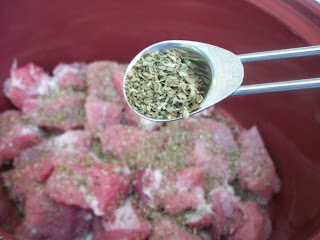 Cover with salt, pepper, oregano, cumin, onion and garlic. Cover and cook on low for 6 hours. Shred meat with two forks. Spoon into tortillas and serve with your favorite toppings. I should not be reading this before breakfast. Now this is all I can think about. DELISH!!! Yes, this looks wonderful! I do love crock pot dishes, great SRC pick. I love how easy this sounds!! And how basic the ingredients are. :) Awesome pick for SRC - thanks for sharing. wow, these look and sound fantastic! I love anything that can go in the crockpot :) I will try them soon. How delicious looking! I love carnitas, and this is going on my "must try" list. You had me at the mere mention of queso fresco. I love slow cooker recipes and this is one that needs to be played with! Your pictures look so much better than mine in the OG post! So glad you liked them, we eat tacos a lot around here, so that is what we always do when I make these. 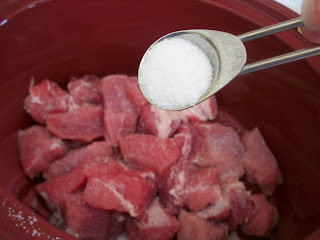 I never tried a crock pot dish, but this looks like the perfect place to start - so juicy and tender looking! 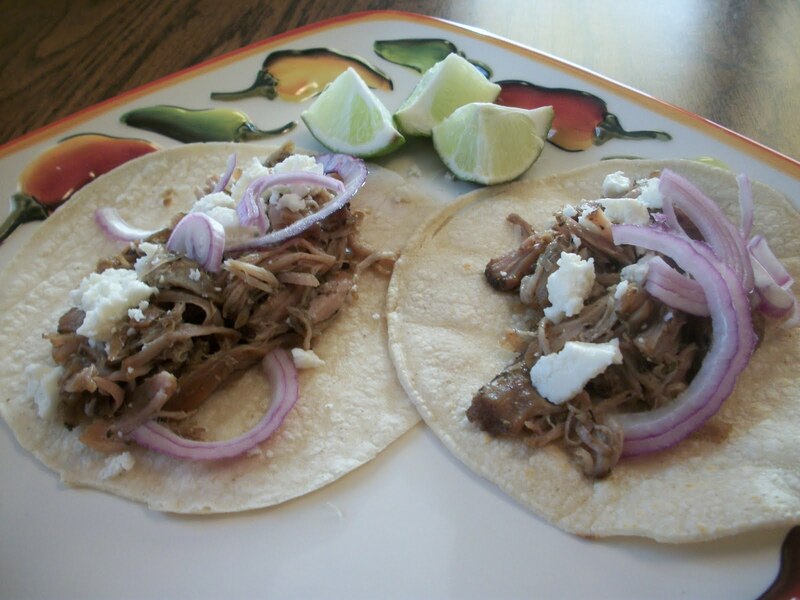 I love carnitas and these look delicious.